Making the decision to finish the basement in your Lancaster home is one of the smartest things you can do. There is no reason not to maximize the square footage in your household, otherwise you are paying for space you are not even using. Don’t settle for a dark storage space or neglected laundry area when you could incorporate this room into your home as much as any other room. The first thing you need to do, before even making plans for your basement finishing project in Lancaster, is to make sure that it is dry. If you have any leaks or moisture problems, they must be addressed before you can even begin to think about doing anything else. The last thing you need to do is invest the time, effort and funds into creating the room of your dreams only to have problems with moisture, mold or even foundation issues. In order to assure that you still do not end up with moisture problems in the future, you need to make sure that moisture barriers are added. Although your professional should know this, don’t get taken by a contractor who likes to cut corners to line his or her own pockets. If this is something they skip, you won’t even know right away so it could be something they get away with for years until it is discovered – and then they are long gone. Choosing insulation with vapor barrier on both sides can help with this. Another thing, don’t write off drop ceilings just yet. While you may have the preconceived notion that all drop ceilings look like office buildings, there are a lot of options available these days offering unique looks. Drop ceilings are ideal for concealing wires, plumbing and other unsightly details, plus it provides easy access when you need to reach these aspects of your home. With well over a decade of industry related expertise, the LT Construction & Remodeling. Inc. team is the one to trust in for your service needs. We care about the industry and the work that we do and that shows in the results we get. Let us show you what we can do for you. We look forward to having the opportunity to work with you and provide you with the quality work you want. For your Lancaster basement finishing, let our experts take care of this for you. 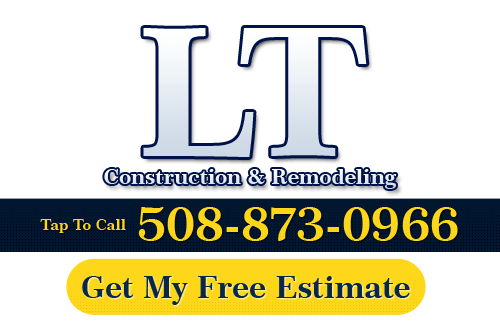 You will quickly understand how we have become the number one choice for construction and remodeling in Lancaster and Massachusetts in general. If you are looking for professional basement finishing services in Lancaster, then please call us today at 508-873-0966 or complete our online request form.